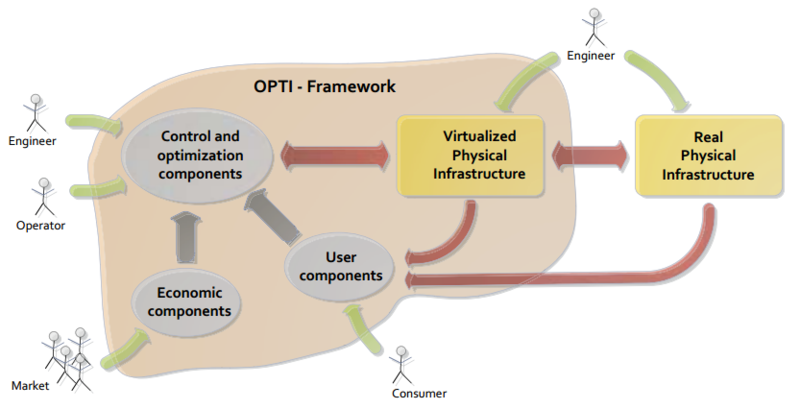 The OPTi project will explore the usage of a virtualization of the real physical infrastructure, also called a shadow, in order to re-design and optimize DHC systems. The shadow of the real physical system, which we call OPTi-Sim, will be used to design and test new approaches to control and optimize the DHC systems. Combining the shadow with engineering tools and storage of data from the real DHC system including buildings and users comfort information yields the OPTi-Framework. The OPTi-Framework functionality will be demonstrated on two different pilots in Luleå and Mallorca.